The Tegro Group has launched a turnkey Dense Media Separator (DMS) which they believe is unrivalled in the market by way of its customisable flexibility, precise split cut results as well as optimal dense media recovery and after sales support. “After many years experience, and having installed sevaral individually designed DMS plants which today are producing high quality out turns for the biggest names in recycling, we believe our new and improved DMS solution to be at the forefront of global DMS technology and know how, and a long way ahead of anything available on the open market” says Biagio Adragna. “The flexibility of the in-feed to this new DMS design is major factor in placing our plant above the competition as it offers our customers a wider range of options to treat different types of materials, from End-of-Life-Vehicles (ELV) residues to Escrap to non-ferrous fractions in incineration bottom ash (IBA). 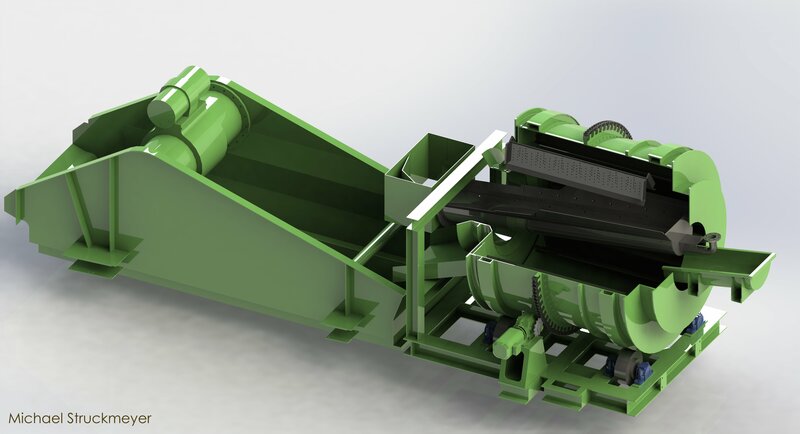 The market demands and market conditions change so fast in todays recycling world that this ability to adapt quickly is what we believe will be the key to any successful operation, and our unique design reflects this need.” continues Mr Adragna. The Tegro Group produces fully customisable DMS plants with specialised water treatment technology to suit specific applications. One application would be to focus on mixed non-ferrous materials with particle sizes ranging from 2-60mm, enabling clients to treat the smaller particle sizes Zorba fines and IBA for example. Another application would be to customize the plant to treat larger material sizes such as 20-150mm. Depending on the customer’s requirements and the material specification, the throughput per hour is between 5-20 metric tons. Apart from the proprietary DMS plant design, Tegro also has vast operational experience to help clients manage the plants operations, they also offer material science services to help clients understand the purchasing and procurement needs to feed the plant as well as experienced commercial know how to help deal with the out-turns of the DMS. Our detailed materials expertise enables the recovery of copper and PGM bearing concentrates from your material streams, which offers security during uncertain market conditions and fluctuating base raw material prices. Tegro can integrate their DMS to your existing processes as a more holistic approach to materials treatment and high value recovery rates. Tegro offers a fast turnaround with a dedicated project team to manage everything from initial design, to start of installation to hot commissioning. With continuous support during operations available. Another key factor in the Tegro DMS systems are the integration of robust, high performance components to ensure optimal efficiency and reliability. It is this complete Dense Media Separation solution that Tegro offers which places it so uniquely in the market. Backed by our rich history of recycling plant and process design including proprietary electrostatics separators to fully integrated WEEE processes , to world leading Fines separation processes and to bespoke machinery solutions from shredders to Water tables.